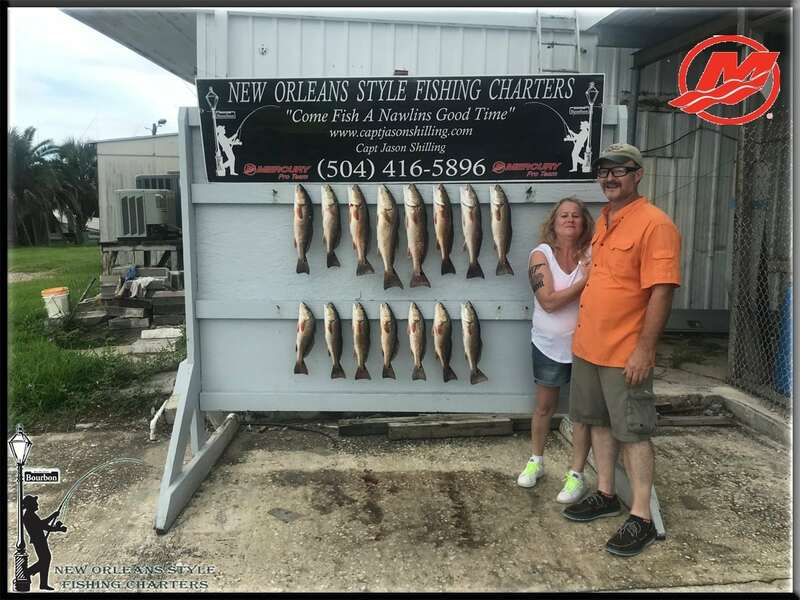 New Orleans Fishing is fun and affordable for everyone. Since my last post we’ve been fishing everyday and in every condition imaginable. For the most part the weather has been cooperative. A couple of days we had to wait out the weather in the morning but were able to go fish after it passed. Still no signs of any amount of speckle trout so we’er make our days with the abundance of cooperative red fish. Well cooperative for the most part most days. Its been a lot of action for everyone fishing with us the last couple weeks. As long as the tides are up we are spending most of our days fishing in the back waters. Fishing the shallows and flats around the interior marshes. Fishing with shrimp under a cork or swimming soft plastics or weedless spoons have been most effective.